This morning, a batch of jaw crushers and hammer crushers have been successfully loaded and shipped to Colombia.After the Colombian customers visited the factory, they were very satisfied with the technological process and equipment configuration designed by our company and immediately expressed his willingness to cooperate.We will continue to provide quality products and technical services to our customers. 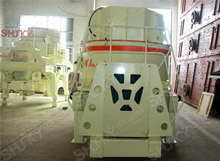 Over the past ten years, various crushers have been exported to southeast Asia, Africa, the Middle East and Oceania and so on .Our company also attaches great importance to international academic exchange and cooperation. We have sent many groups abroad for investigation and exchanged experience and mutual learning with international production technology experts in grinding and crushing industry, such as manufacturers in Canada, the United States and other countries.At present, the products have been sold to Kazakhstan, India, Indonesia, Turkey, Canada, Africa and other countries and regions, and have been widely praised by users in various countries!Welcome new and old customers to visit our factory!